Early yesterday, I saw an Uber ad which expressed the company’s intent to attract passengers from high-capacity public transit. The ad is below, and my post in response is here. In my response I reminded readers of what it would mean to shift large numbers of people from big transit vehicles, like the subway pictured here, to individual Uber cars — in terms of outcomes for cities, society, and the environment. Within hours I got a Twitter message from a senior person at Uber, asking where I’d seen the ad and then assuring me the ad had been removed. All good. But readers wondered if I was over-reacting to a mere ad, or if I regretted my post now that the ad had been taken down. No, and here’s why. Advertising, like political speech, has a long history that we can study and learn from. Precisely because it seems so fleeting and insubstantial, it disarms our skepticism, exploits our desire to be “in” or “cool,” and thus shapes attitudes that will define the world of the future. This ad also had a context, as part of a torrent of messages — from many parts of the culture including the tech industry — that encourage contempt for public transit, or at least apathy about it, among the relatively fortunate. And when our transit systems are not what our cities need or deserve, that apathy is the main reason why. 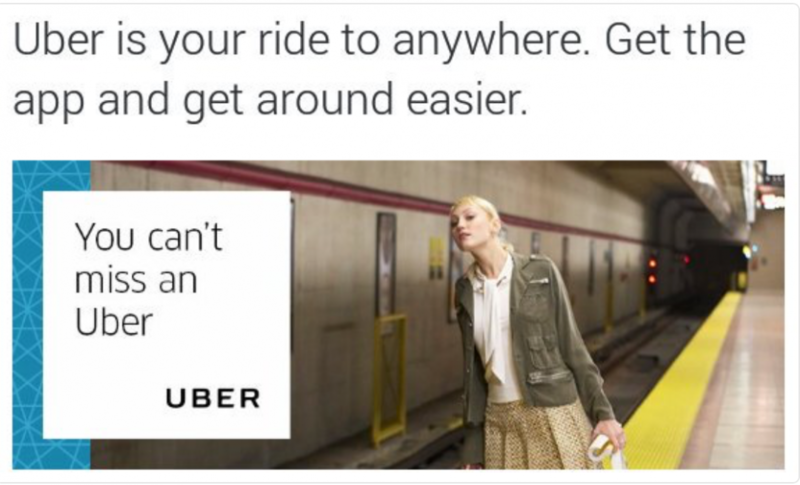 With that ad, Uber had identified itself as an advocate of that apathy. The only way to disarm that ad was to take it seriously. Advertising always wants to engage us with a wink and a nod, so that we’ll forgive it for implying things that the company wouldn’t want to defend having said directly. So to confront it, you have to strip off that mask and make clear that you hear what the ad is saying, and what that implies. It’s like what you have to do to stop any ongoing pattern of abuse. Sooner or later, you have to speak up about something that seems minor in isolation. You have to say: “I know you think this is isn’t a big deal, but in the context of 100 similar things that are being said, it’s doing harm.” You’ll sound like a killjoy, but you’ll sleep better knowing you did what you could. It worked. Somebody at Uber read my post, saw the problem and fixed it as a matter of urgency. Clearly there are people inside of Uber who want the company to be a more responsible player in urban issues. I look forward to meeting more of these people, and I hope they prevail in defining Uber’s future. This is the stance that I encourage transit agencies to take toward Uber, Lyft, and similar companies. Negotiate from a position of confidence that demands respect for the things that only high-ridership transit can do. The companies worth working with are those that will be happy to meet you in that space, ready to collaborate to build better, more liberated cities. Is the Tide Turning Against Techno-Libertarian Transport Planning? I’m not sure what car adverts are like in the US but in the UK there seem to be lots showing happy looking 20/30 somethings zipping around in the latest model through strangely deserted city streets. If only adverts reflected reality… the driver sitting miserably in a queue of traffic crawling along, being overtaken by a cyclist and someone walking their dog. Yes, car commercials in the US are similar. Downtown Los Angeles is the most common location for the “city streets” part of the commercial– I think they usually shoot early on a weekend morning, or at night– and then there are usually some shots of the car zipping down a winding mountain road, maybe Mulholland Drive or the Pacific Coast Highway. Despite LA’s famous traffic, surface streets in places like downtown are often pretty quiet outside of rush hours. But CG is often used to give everything a cleaner appearance, and to edit out most of the other cars. Car commercials are never shot where most Americans use cars– pulling out of suburban strip malls, sitting in freeway traffic, etc. I’ve been seeing a ton of car adverts taking place in Vancouver lately. You can tell the Burrard or Granville bridge as they roll into the Glass tower center city. I often think that car ads are a bit like the cigarette ads; so if you want people to use less of both the solution is similar. If your commercials are forced to show cars in real congested situations (without irony), induced demand could drop. Even worse are the ones that show everyone else as traffic, but pick the right luxury car and a magical wide open street appears. There was even one spectacularly absurd one that shows the car leaping onto a moving train to stop being part of traffic. Ive seen the ad for at least 3 weeks. Also, anyone know what station that is? SF? Huh. I wonder if the TTC knows that Uber is using a picture of one of the Sheppard line stations (not sure which one, I don’t take that line very often). Don Mills station on Toronto’s Sheppard line. If someone asked me where to go to find empty subway stations, I’d suggest there . Considering the totally empty platform, it seems like someone who may have missed the *last* train- assuming that this isn’t one of the handful of transit systems which is 24/7. Isn’t that a market which, by definition, the transit agency has decided not to service? I’m not sure how I’d tell Don Mills from Bessarion from Bayview from Leslie. I thought Don Mills would have more stairs/escalators that I see in the Uber ad, since it’s the eastern terminus and the second-busiest station. Or, the fourth least-busy, if you want to look at it that way. Excellent post. It very much concerns me that there’s a growing constituency that is looking down their noses at public transit because using some app is so “cool”, regardless of the fact that at stagnating incomes ride-hailing is not really a financially sustainable option for most trips. And it further enables everyone to (figuratively) spit on public transit. Let’s stop trying to be “cool” and use our own brains and rational thinking. I do remember a TV commercial for a car company which included traffic jam (congestion)! A teen-age girl sits in a German car, everybody knows her, she’s an olympic medal swimmer and everybody knows she’s under 18, so not allowed to drive on German streets. But the surrounding is clearly New York or somewhere in the U.S. with skyscrapers. She can’t cross the intersecting street because of the traffic. Then she’s got an idea: the soil under her car transforms into something liquid and her car dives down below the traffic jam just like a professional swimmer in water. Thank you, and I second your critique. I think theres no need to get quite so uppity with Uber, ridesharing is a valuable part of the transport network and I reckon you’re a bit harsh on them. The way I see things, the ultimate goal is for people to be able to live without the need to use their own private vehicle. People who don’t own vehicles cant do ‘impulse’ trips in their own car. They would/could use transit for most of the time, but where required Uber is a cheap and easy option. My experience is when Uber came to Perth (Australia) a couple of years ago I was finally able to sell my car. Whilst Perth has a pretty good PT network, it doesn’t go everywhere and after hours isn’t as good. I can use Uber as a relatively cheap option for those trips not readily available on transit. The advertisement says to me that Uber is available when trains are not. I don’t think many people would be using Uber if the train was available for the same journey. Also if I got annoyed with every ad I didn’t believe it, my head would explode! His point was to criticize the specific ad, and one specific vision for Uber that many people have. And on that he seems to be right. With regard to never missing an Uber, Topher M (on San Francisco Streetsblog) wrote that he missed his Uber ride and was charged $5 as a penalty. Then he writes that he took the bus home (with no penalty). Calm down and join the real world. It’s a company advertising their service, trying to differentiate their product. Good thing you were there to try to constrain their their free speech rights! Or is it – I’m offended by YOUR post. Could you take it down with some urgency, please.? Thanks! PR messaging has unintended consequences, and we should always point them out. That’s why Uber took the ad down in response. Just saw the ad. Guess they lied about pulling it. I agree with your critique of the ad, but I think it should also be pointed out that the ad is false on the most basic level. “You can’t miss an Uber.” Oh really? I think the transit industry needs to be careful of being overly sensitive, threatened, and defensive toward ridesharing companies like Uber. Transit agencies have a virtual monopoly on the low end of the transportation spectrum, the forgotten few who are unable to drive or cannot afford to. As a monopoly, they have been loath to change and innovate and find more affordable transportation technologies like ridesharing gps appointment algorithms. As a monopoly, they are reactive and defensive to any threat to their territory, in this case, people who can’t afford taxis but can afford to pay more than transit. My suggestion is to innovate or predictably die and die quickly so we can get on with it. Stop sending disgruntled petty complaints around about how ridesharing chooses to advertise. You sound like a spoiled little kid. Spend all that angst and energy on innovating. 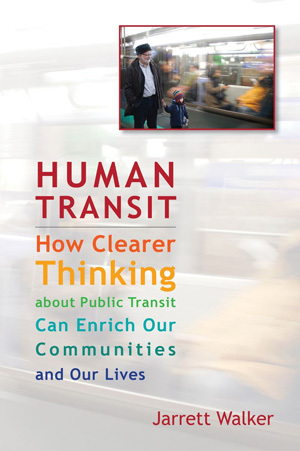 I’ve read J Walkers transit book and not to get personal, but it didn’t talk much about innovation just natural constraints like productivity versus coverage which should have read sustainable transit versus unsustainable sprawl transit. The transit monopoly’s customer base will shrink as the private sector innovates and reduces the cost of a ride, and this is good, because ultimately, we will be able to better mobilize all the youth, seniors and disabled who have been ignored and set aside by government and provided inadequate transportation services that do not innovate but just complain about stuff. Totally totally agree. Excellent blog post. This is going to be an unpopular reply … but this has happened to me more times than I can count. I’ve gone to get a train in D.C., see the wait is 15 to 30 minutes, and so grab an Uber. I use the service exactly the way it’s presented in this ad. I don’t see what’s so controversial. It’s presenting a real-world scenario. Transit doesn’t work perfectly all the time, and Uber has been valuable in filling gaps for those who lack cars. I’m seeing a slightly different variation of this ad here in Australia at the moment. I’m personally more than a little worried about this multi-billion dollar company targeting people who use public transport. Our roads need less cars, not more.